PC hardware giants AMD have announced their intention to muscle in on the VR market – they’re partnering with the likes of Oculus Vr, Dell, Alienware and Asus to bring a line of ‘Oculus-ready’ PCs to consumers. The alliance has been gathering members for a while now, but today’s news marks a big statement of intent from AMD, and a line in the sand drawn between themselves and NVIDIA. You’ll still be able to build PC that can hack Oculus gaming using NVIDIA hardware, of course – it just won’t have the official sticker on it. AMD’s LiquidVR technology and Graphics Core Next architecture puts it in a good position to get behind VR – it has the tech, now it just needs to pin its signature red to the Oculus mast. AMD’s LiqiudVR tech – essentially a platform for ultra-fast, low latency graphics processing – is designed to minimise sickness and discomfort while using an Oculus headset. Sickness is caused by a delay between moving your head in a direction and the image catching up – “motion-to-photon latency,” in AMD’s words. with LiquidVR developers will ostensibly have the tools to minimise this and thus save your living space from unfortunate regurgitation-based incidents. 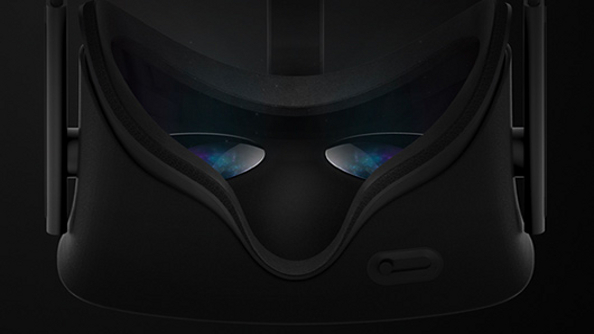 As previously reported, the official Oculus-ready machines from Asus, Alienware and Dell will start at $999, but that price excludes the Oculus VR headset itself, which will cost a further $350. Exact specs aren’t being mentioned, but expect the pricing to increase significantly with increased storage options and the like.